Help Us Grow. It’s time to pay 2019 membership dues. Please consider becoming a 2019 Farmer City Genealogical & Historical Society member. Membership dues for the Farmer City Genealogical & Historical Society are $15.00 per year. Membership includes 4 quarterly issues of The Mirror, a great source of information and photos from our past. Please help us preserve our heritage and museum for future generations to enjoy by joining now. Dues may be sent to FCG&H Society, 224 South Main Street, Farmer City, IL 61842 or are payable via Paypal on the left sidebar. Contact us via email at admin@fcghsociety.org or leaving a message at 309-323-8226. Our Farmer City Museum hours are limited to the second and fourth Saturday of the month from 10 AM – 2 PM. But If you have research you would like to do at a different time, please contact us via email at admin@fcghsociety.org or leaving a message at 309-323-8226. We are extremely accommodating in setting up research appointments separate from museum hours. A Sesquicentennial history book was published in 1987 containing a detailed accounting of the first settlements along Salt Creek which became known as Hurley’s Grove. As more pioneers settled in the area, the community reached out toward the northwest, and was first named Mt. Pleasant. Eventually, it was discovered, however, that there was already a Mt. Pleasant in Illinois and after much discussion and debate, the citizens settled on the name Farmer City. In 1869, Jacob Swigart, a member of the State Legislature, went to Springfield and introduced a bill into the Assembly to officially change the town’s name to Farmer City. 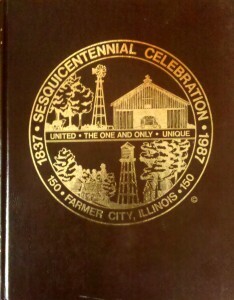 Farmer City held its 150th year Sesquicentennial Celebration in July 1987 with many unique and wonderful events planned during the first three weeks of the month. Activities included antique farm and household displays, antique and classic car shows, a homecoming dinner and school reunion at the high school, a square dance and clogging exhibition, fireworks, firemen’s water fights, house tours, a patriotic religious service, arts and crafts booths, a parade, mini-midway and fun booths, Central Park entertainment, a band concert, and street dance, a style show, city-wide garage sales, a Civil War enactment encampment, a talent show, and the crowning of the Sesqui Queen at the pageant presentation. Most local residents participated on various committees to provide the community with a birthday celebration to remember. A history book was published containing a detailed accounting of the founding of the community known first as Santa Anna and Mt. Pleasant before the citizens finally settled on Farmer City. This one-of-a-kind reference book contained 429 family histories, histories of 24 clubs and organizations, histories of 27 schools, 13 churches and 5 cemeteries, many priceless photographs and other memories recounted by those who called Farmer City home. Many, many former residents returned to visit during the celebration and to share in the hometown spirit, renew old acquaintances and create new memories to last a lifetime. 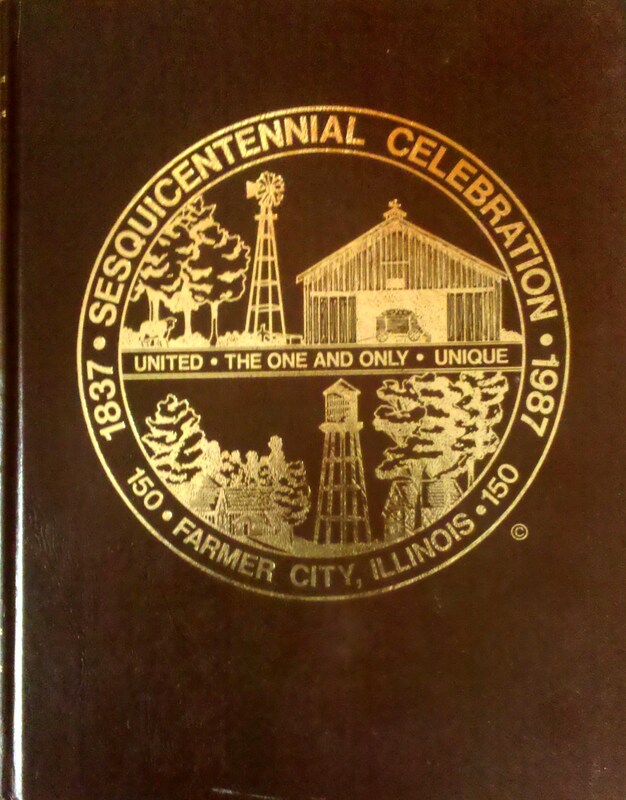 Following the July, 1987 Sesquicentennial Celebration, there was much interest expressed in continuing the preservation of the history of Farmer City and the surrounding areas, and learning the stories of the families who at one time or another lived in Farmer City. Dues may be sent to FCG&H Society, 224 South Main Street, Farmer City, IL 61842 or are payable via Paypal on the left sidebar. to identify, mark, and preserve historical buildings and sites, and to inform the community of the value of and need for preserving family and local history for posterity. The first officers of this organization were Pat Lamb, president; Margaret Hoffman, first vice-president; Donnalee Wheeler, second vice-president; Pat Andrews, secretary; Dr. David Morgret, treasurer; John Overton, Teri Kelley and Pat Ruckman, directors. Charter members included Virgie Jean Amacher, Dean and Beverly Dubson, Connie Ellis, Jean and Janice Flannery, Katherine Glardon, Kay and Oliver Hankinson, Margaret Hoffman, Eugene and Georgiana Houser, John F. and Sandra Johnson, Ted and Teri Kelley, Maurice and Betty Kent, Pat Lamb, Levi and Dorothy Murphey, John and Lillian Overton, Gene Reeser, Norene Richards, Steve and Phyllis Richey, Darlene Riggs, Robert and Patricia Ruckman, Norma Scarbrough, F. Paul Schilling, Charles, Arvilla and Tammy Simpson, Mary Stagen, James and Eunice Tobin, Sally Williams and Florence Workman. Interest in the Society grew rapidly as both current and past residents recognized the importance of preserving the heritage of this unique place called Farmer City-The One and Only. Early meetings were held at the Santa Anna Township Building, as members enjoyed genealogy classes and other programs of interest. The Society became very active in the community, participating in Christmas parades, house walks and tours of local homes and businesses. Funeral home records and newspapers were indexed, identification and preservation of stones and burial places in local cemeteries were secured and recorded, as well as many other very worthwhile projects undertaken by the Society. 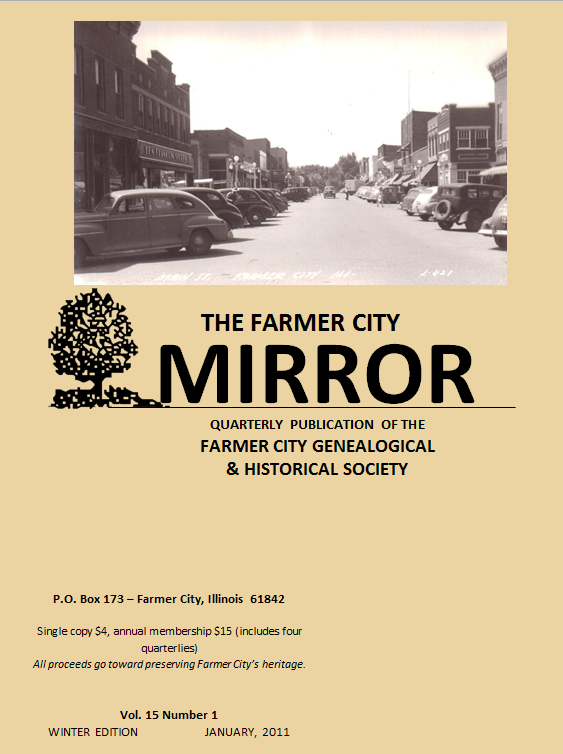 The MIRROR ceased publication for several years, but renewed publication in January, 2011 when Malinda Snow accepted the invitation of the Farmer City Genealogical and Historical Society Executive Board to be the editor of the next MIRROR. Susan Ryan took over the editor duties in May of 2012. Dues may be sent to FCG&H Society, 224 South Main Street, Farmer City, IL 61842 or are payable via Paypal on the left sidebar. For a $15 annual membership you will receive four quarterly Mirror publications. Another dream of the members would come to pass in the fall of 1993. 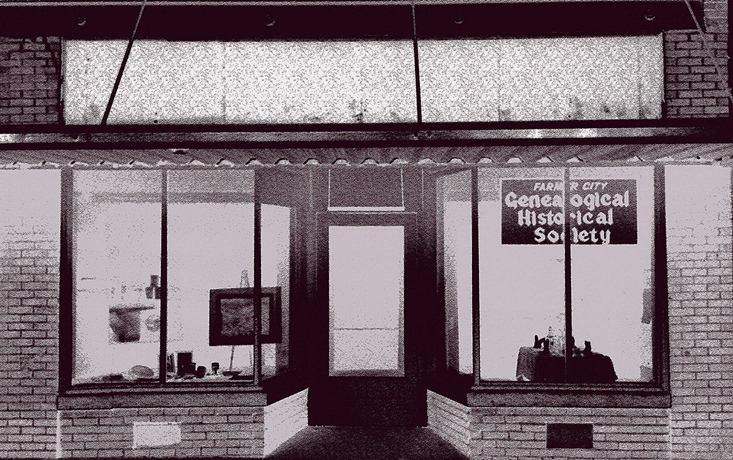 When FCG&HS was organized, charter members had a long-range plan of someday having a museum. Many options were explored and thanks to the dedication and determination of Levi Murphey, a member of the Masonic Lodge A.F. & A.M. 710, this goal was attained. 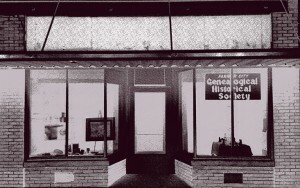 The Lodge graciously rented a portion of its building at 224 South Main Street to the Society to be used as a museum. Generous donations of time, money, antique farm and home treasures, display articles, photos, memorabilia, and the other local artifacts that make up our museum today were gladly given and received. Open house was held at the museum over Christmas 1994 with Mrs. Virgie Holt, age 93, a long-time piano teacher in Farmer City, entertaining visitors at the museum’s newly-acquired piano. The genealogical and historical archives were housed in the back room of the museum, with charter member Jean Flannery sorting, itemizing, and organizing all paper information and photographs that came into the museum. Jean, a professional photographer, gave much time and talent to the task at hand, and quickly became the “go to” person for any necessary information about the entire museum. Her dedication to the society became invaluable. Current Museum hours are the second and fourth Saturday of the month from 10-2 pm. We are often in the museum doing research or organizing artifacts and archives. If the lights are on, the door is open – Come on in! Or contact us via email or call 309-323-8226 and we can easily set up an appointment for you to visit the museum or do family research. The fall of 2000 saw another major accomplishment by this organization when it published Their Roles Remembered-Farmer City Veterans of World War ll, a 450 page volume which John Dawson, John Overton and Gene Houser, veterans themselves, gathered and compiled. They used the stories written by the veterans and their own interviews of veterans, as well as stories of the impact of World War II on the Farmer City community. Cooperation from the local American Legion and Veterans of Foreign Wars posts was a great help in the completion of this book, as were the scrapbooks and archives of the museum. This collection of World War ll stories by and about Farmer City veterans was written by John Overton, John Dawson and Gene Houser. Approximately 500 veterans were represented in this volume. The FCG&H Society was honored to have been a part of the creation of this publication.